Did you know that here in the United Kingdom we celebrate Mother's Day in spring? Mother's Day officially falls on the 11th March this year and we wanted to share some inspiration for making those special cards to let Mums all over the U.K. know how much they are appreciated. Ilina has created a beautiful floral card with a modern sentiment. We love how bold the coloring is and if you watch the video you can see how to use black embossing powder without smudging occurring when coloring with alcohol pens! 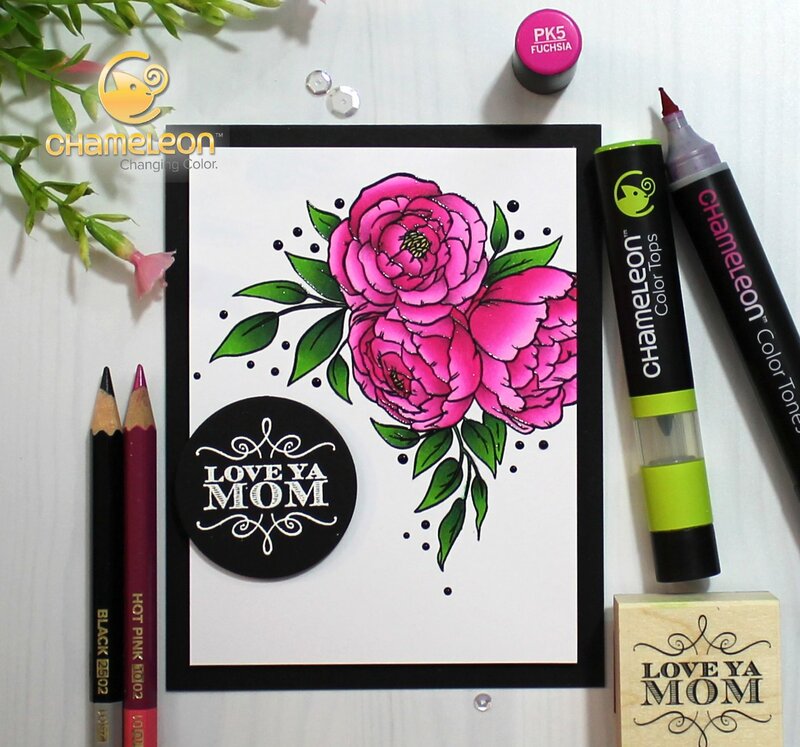 Mother's Day Card by Ilina from Chameleonpens on Vimeo. If you would like to give this card a try you can download the Love Ya Mom card instructions here. We will be back later this week with more Mother's day inspiration, so don't forget to pop back to see what Tanya has created.